When we speak about Pakistan, a series of problems come to mind. In fact, from birth to today, Pakistan has remained a laboratory where all types of experiments, from colonialism to neo-colonialism, involving religion, economics, race, genocide, geography, politics, history, myth, color revolutions, and separatism have been launched as a result of the complexity stretching from the basic family unit to state institutions. Hence why Pakistan has been placed among the fragile states of the world. But now, Pakistan has shifted itself onto the track of development by introducing reforms from the basic unit to the state level. Pakistan’s turbulent past is seen in mostly the problems regarding border disputes and separatism that are gifts of the colonial period, but also in other problems such as militancy, extremism, and ethnic conflicts which are created in order to turn Pakistan into a bridge for Western hegemony. Therefore, Pakistan is the only country in the region that has become a victim of US regime change and color revolution experiments. With the help of Saudi fatwas (religious sermons), the US turned secular, liberal, and progressive Pakistan into a jihadist factory by sponsoring militants, terrorism, and extremism during the Afghan war. Previous history described Pakistan as the “most allied ally” of the US. By taking advantage of this “special status,” the US entangled the country almost everywhere from state institution to basic entities. Despite being a US ally, Pakistan was also considered China’s eternal friend, and China was the only country that helped Pakistan in every time of need. Hence why, after joining the Silk Road, Pakistan adopted the regional agenda through opening its doors for China’s Belt Road Initiative and Eurasian integration. This U-turn in policy was introduced after the announcement of China’s huge investments for the construction of China-Pakistan Economic corridor. China was reluctant to invest in Pakistan due to the country’s suffering from domestic problems, but after continuous assurance from both political institutions and the military establishment, Chinese companies agreed to change Pakistan’s fate through utilizing its maximum geographical potential. Last year, during the his address to a joint session of the Pakistani Parliament, Chinese President Xi Jinping promised to make Pakistan a tiger of Asia. Islamabad’s readjusting policy and its strategic tilt towards Beijing and Moscow has infuriated Washington. For the US to lose the country in the continent where its forces can land at any time in defense of the “Free World” would be a difficult failure. Pakistan’s recent history has witnessed not only American forces’ violation of Pakistan’s sovereignty multiple times. But now the pendulum of state affairs swung from one extreme to another, from association to estrangement. Unfortunately, in the emerging regional scenario, New Delhi, a traditional rival of Islamabad, has hinted at joining the unipolar world to fulfill Western objective in the region. Pakistan, which has already been a victim of US regime change and color revolution experiments, is now posing a great challenge to the US-India nexus. This context covers Pakistan’s geopolitical importance, its problems, and the US-Indian Hybrid War against it. Pakistan is the only Muslim country which has world’s fastest nuclear program and one of world’s most powerful militaries with a $7 billion annual defense budget. According to a Credit Suisse report on globalization, the Pakistani Army has been ranked as the 11th strongest military in the world”. Besides powerful military might, Pakistan is economically undeveloped and a politically unstable country facing separatism and terrorism. Andrew further describes Pakistan as a country uniquely poised to “zip” together a variety of economic blocs, taking advantage of both its convenient geography and China’s grand investment vision to make this happen. Pakistan has not only realized its geographical potential to “zip” the multipolar economic blocs together, but is now also going to play a bigger role in the shifting of the centers of power from the unipolar world to a multipolar world. The “Future of Asia” comes true with Pakistan’s positive participation in inviting the multipolar world to gain maximum benefits from the China-Pakistan economic corridor and transit trade routes for peaceful regional integration. For this purpose Pakistan has offered its seaports for trade to SCO countries. Geographically, Pakistan is situated in South Asia covering the west part of Indian-Subcontinent and is at the junction of Central Asia and Middle East, which gives its location great significance. Pakistan's total land border is 6,774 kilometers long shared with four countries. Pakistan borders India in the east, Afghanistan and Iran in the west and China is situated to its northeast. While surrounded by land from three sides, the Arabian Sea lies in the south. Although the border between Pakistan and China is already nearly 523 kilometers long and is situated to the northeast, Pakistan has also recently handed over its strategic port of Gwadar to China, which provides the shortest possible land access for China to reach the fresh waterways of the Arabian Sea. Last year, both countries signed the mega project involving USD 45+ billion called the “China-Pakistan economic corridor” (CPEC). This is a key project of China’s Belt Road initiative that is considered to be the “future of the world” as 3 billion people of the world would benefit from it. The economic corridor is about 3000 kilometers long consisting of highways, railways and pipelines that will connect China’s Xinjiang province to rest of the world through Pakistan’s Gwadar port. The CPEC also points to the alternate route of the South China Sea, as 70% of China’s oil requirements come from Africa and the Gulf countries will find the shortest land route via Gwadar to Xinjiang. In fact, the Gwadar port has not only strengthened China’s naval profile in the Indian Ocean and the Persian Gulf, but has also provided an opportunity for China to connect to Central Asia, South Asia and Middle East maritime oil and trade routes through the Belt and Road initiative. Chinese Gwadar has also become a hope for emerging centers of energy of the Caspian Sea to export their products, because Gwadar has the potential to become a two-way export market for east, west, south, and north. Along the CPEC, these transit trade routes are also considered to be the shortest access routes for the landlocked Central Asian Countries and Russia to reach the hot waters of Arabian Sea. Moreover, for Indian goods, it is also the shortest land access route to reach central Asia and Europe. Beside this, Pakistan also has the potential to become India’s irreplaceable energy partner as two proposed inter-continental gas pipelines will pass through Pakistan to South Asia via India. Both countries of Pakistan and China are determined to complete the initial infrastructure of corridor at the end of 2018. But unfortunately India has on the behest of US adopted a double edge policy of containing China and confronting Pakistan. Indian involvement in the Balochistan insurgency is evidence of this. The government of Pakistan has submitted three dossiers to the United Nations against the Indian involvement. This evidence reveals the Indian connection in support for rebellious movements, terrorism and anti-state actors. China and Pakistan have continuously assured that India need not worry insofar as Chinese authorities have repeatedly announced that the Belt Road initiative will unleash a new era of economic prosperity for the entire region. For this purpose, China has invited India to join regional integration for the betterment of multipolar world. Despite joining regional development under the umbrella of the Shanghai Cooperation Organization and BRICS, India is acting as an agent of the unipolar world in sabotaging the multipolarity of the globe in the region. Unfortunately, under Modi’s government, India has hinted at joining the anti-China coalition by aligning itself with America from the South China Sea to South Asia. After the partition of the sub-continent, both countries agreed on the Radcliffe Line named after Sir Cyril Radcliffe, the chairman of the Indo-Pakistan Boundary Commission. The Pakistan-India border is almost 2,912 kilometres long. The Wagah checkpoint is an important place for both countries. It is the only road border crossing between India and Pakistan, and lies on the Grand Trunk Road between the cities of Amritsar and Lahore and it is also famous for 'the lowering of the flags' ceremony that is held there every evening and is witnessed by a large crowd from both the nations. Although the Radcliffe Line is an internationally recognized border, the Kashmir conflict and its line of control (LOC) is still an alarming threat of war between Pakistan and India. The two countries have already fought three wars over the complete control of Kashmir. The term LOC refers to the de facto border between Indian and Pakistani-controlled parts of the former princely state of Jammu and Kashmir. In fact, the Kashmir conflict is the mother of all disputes in the sub-continent and represents one of the strong barricades in the regional integration of South Asian Association for Regional Cooperation (SAARC). From the United Nations to regional nations, many efforts have been made to resolve the Kashmir dispute, but all failed. The Kashmir dispute is the oldest unresolved international conflict in the world today. Pakistan considers Kashmir to be its core political dispute with India. Kashmir conflict is considered one of the biggest failures of United Nations in failing to implement Kashmir-related resolutions. India later brought the Kashmir issue back to the UN only to later take it away following the Simla Agreement. The Simla agreement was signed between Pakistan and India in 1972 for resettling the 1971 war. According to this agreement, “Both countries will settle their differences by peaceful means through bilateral negotiations." India rejected third party (UN) involvement based on the argument that Kashmir is a bilateral issue, while Pakistan argued that the Simla Agreement was only related to the settlement of the international border, not for the LOC. Thus, the cold war over the territory still continues, although Russia as a regional power has offered its role and has also provided the opportunity, under the umbrella of SCO, for disagreements to be minimized in a peaceful manner. For this purpose, in July 2015, the Pakistani and Indian Prime ministers met at Ufa to seek a peaceful solution but, unfortunately, both sides on the behest of US violated the Ufa declaration regarding the India-Pakistan dispute. Russia’s mediator role in the sub-continent was intolerable for the well-wishers of the unipolar world, and the chance for peaceful negotiations was spoiled. A cold war between Pakistan and Afghanistan can be observed nowadays in how Pakistan has taken measures to regulate the 2,500 kilometer long Pakistan-Afghan border, because the Afghans do not recognize it as an international boundary. The latest flare-up at the Torkham crossing came after Pakistani authorities started fencing the border crossing and installing a gate there. In fact, the boundary line between Pakistan and Afghanistan is de-facto in nature because it is not recognized internationally. It was established in 1893 as the result of an agreement between the British, led by Sir Mortimer Durand, Foreign Secretary of the British Indian government, and the then ruler of Afghanistan, King Abdur Rehman Khan. Therefore, it was the named Durand Line. The purpose of this line was to save British occupied India from Russian expansion eastward. After the partition of British India, Afghanistan raised territorial claims to the Pakhtun areas, i.e., present day Khyber Pakhtunkhwa province of Pakistan, on the basis that they had belonged to Afghanistan ethnically and historically, and were part of Afghan map in the 18th century. The Durand Line issue has remained bitter for the relations between both countries. Several border skirmishes, incursion from both sides, and riots against Pakistan in Kabul in 1950 hinted that diplomatic relations have never been candid between Islamabad and Kabul. During the 1970’s, Sardar Mohammad Daud publicly rejected the Durand Agreement and started supporting the independent Pakhtunistan movement, which resulted in the end of diplomatic ties between both countries. The Soviet presence in Afghanistan was a turning point that provided a chance for Pakistan to work with US authorities to fight against the USSR as an ideal opportunity for Pakistan to deal with the Durand Line. Islamabad acted actively according to the Pentagon’s war scheme against Moscow. The Greater Pakhtunistan movement was countered through jihad and the Talibanization of Afghanistan. After the withdrawal of Soviet Army, Islamabad installed a Taliban government in Kabul to sideline the Durand Line issue. In fact, the Durand line divided Pakhtun over both sides. Here it is also necessary to remember that Pakistan and Afghanistan were nearly on the verge of war in 1954 over the “Greater Pakhtunistan” issue. But after the Afghan Jihad against the USSR, Pakistan brought all available resources into use to suppress the issue directly, including even cooperation with such religious groups as the Taliban, to counter Pakhtun nationalist parties from both sides. India’s closeness to Afghanistan is also fueling the Durand Line issue once again. Now it’s up to the Kabul government to analyze the issue carefully, since India simply wants to create pressure on Pakistan to achieve its geopolitical objectives in the region against Pakistan. While being a landlocked country, Afghanistan’s economy is dependent on Pakistan’s transit trade routes. Although India has never publicly supported the Kabul government’s stand on the Durand Line issue due to its own border-related problems with neighboring countries. However, India seems to allegedly support Pakhtuns’ stance on the Durand Line issue through backdoor channels to build up political pressure on Pakistan regarding the Kashmir conflict. Meanwhile, US-led NATO presence is also doubling Pakistan’s fear over this dispute. The US is playing a double game with Pakistan and Afghanistan. On one side, US authorities have demanded that Pakistan stop the militant penetration of Afghanistan through proper border management. When Pakistan introduced a mechanism by building wall, gates and check posts to prevent the flow of terrorists and drugs, at that moment on the behest of US, the Kabul government moved Afghan forces to the order line against Pakistan. As a result of Afghan shelling, many Pakistani security personnel died and this border affair increased the problem of Afghan refugees pouring in to live in Pakistan. Many incidents of the harassment of Afghan refugees were reported while Pakistanis remain furious at the Kabul’s government reaction. This scenario would drag the region into another war. Therefore, Afghanistan’s Pakhtuns seem to have been reluctant on this issue as Pakistani Pakhtuns likely have greater influence on Afghanistan’s Pakhtun leaders. Hence why Pakhtun leaders in Afghanistan are not supporting the current stance of the Kabul government over this dispute. The border between Pakistan and Iran is 909 kilometers long and also called the Pakistan-Iran Barrier. The concrete wall (3 feet thick and 10 feet high) currently under construction is supposed to replace the border fence. The construction of the wall has become controversial because the people of Balochistan from both sides have raised their voices against it. This wall not only separates Pakistan from Iran, but also divides the people of Balochistan struggling for the independence, which consists of Pakistani Balochistan and Iranian Sistan e Balochistan. Historically, the Kurds and Balochs are cousins and both are fighting for their own independent land. The West has publicly supported the Kurdish movement, but in the case of Balochistan, they use backdoor channels to “free Balochistan.” Many Baloch separatist leaders are living in West on asylum. To block Chinese access to Persian Gulf energy, a new map of Middle East was redrawn by the American controversial strategic analyst Ralph Peters. In his infamous “Blood Borders” map, he earmarked “Free Balochistan” carved out of Iranian and Pakistani territory. 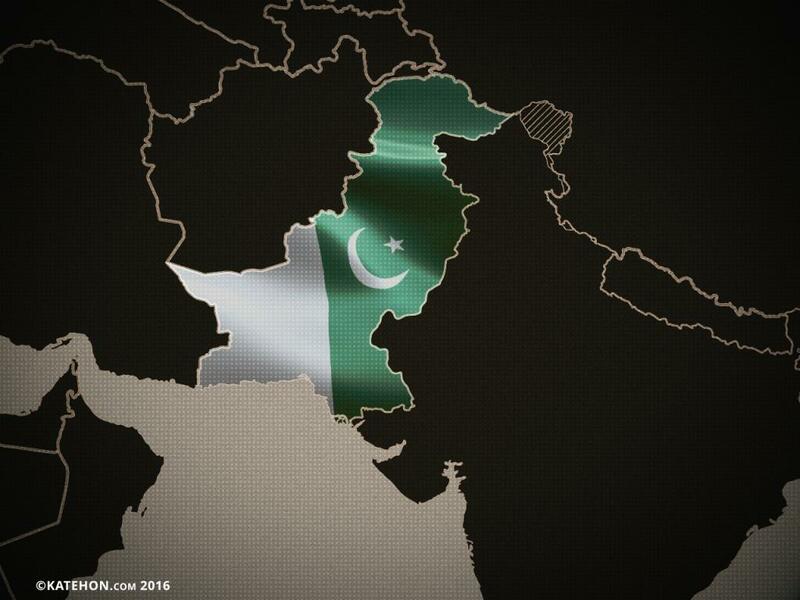 Both Pakistan and Iran are facing insurgency in their respective provinces of Balochistan. After the Iranian revolution, the Baloch insurgency in Iranian side turned into Shia-Sunni conflict. Saudi Arabia and the USA are directly involved in the conflict through supporting sunni Balochs. Now, Indian presence at Balochistan’s Chabahar port is also working in favor of Saudi Arabia and the USA. On the Pakistani side of Balochistan, India has a strong network and direct contacts with Baloch rebels. India has even been accused by Pakistan of running Baloch training camps in Afghanistan. Four army operations against Baloch rebel movements were launched by the Punjabi establishment in Balochistan that created more hate against Pakistan. Unfortunately, the dominance of Punjab in the federation is the main hurdle to any political solution for Balochistan.